This is an epic walk, but if you can’t do it all (which includes Highgate Cemetery and Hampstead’s outdoor pools) make sure you head to the Hampstead Pergola. I still remember the first time I visited, it’s spectacular. Beautiful gardens and hanging flowers as you walk through the raised pergola, feels like stepping into a fairy tale. You’ll pass some very instagrammable front doors on this jaunt, as well as a beautiful church, and street food outside Kings Cross as well as the star of the jaunt, a really well managed community garden. It's totally free to visit this and it offers a space of calm to local residents and passers by. Head on in if you're looking for a peaceful wander featuring both green and blue space. Did you know there was a castle in London? Now you do, and you can see seven counties if you climb up to the top for a panoramic view. It’s also surrounded by lush woodlands for you to wander around in, making for the perfect location for your instagram. You’d hardly know you were still in London! This has to be one of South London's best walks. This walk is super central and links two of London’s finest architectural gems. The Barbican has plenty to explore if you’re looking for culture, and you’ll find many an interesting angle to capture that brutalism. You can then pass Postman’s Park, a tiny hidden park in the city, before reaching the iconic St Pauls, worthy of every instagram it gets. It's the perfect London walk to get to know a city of contrasts. 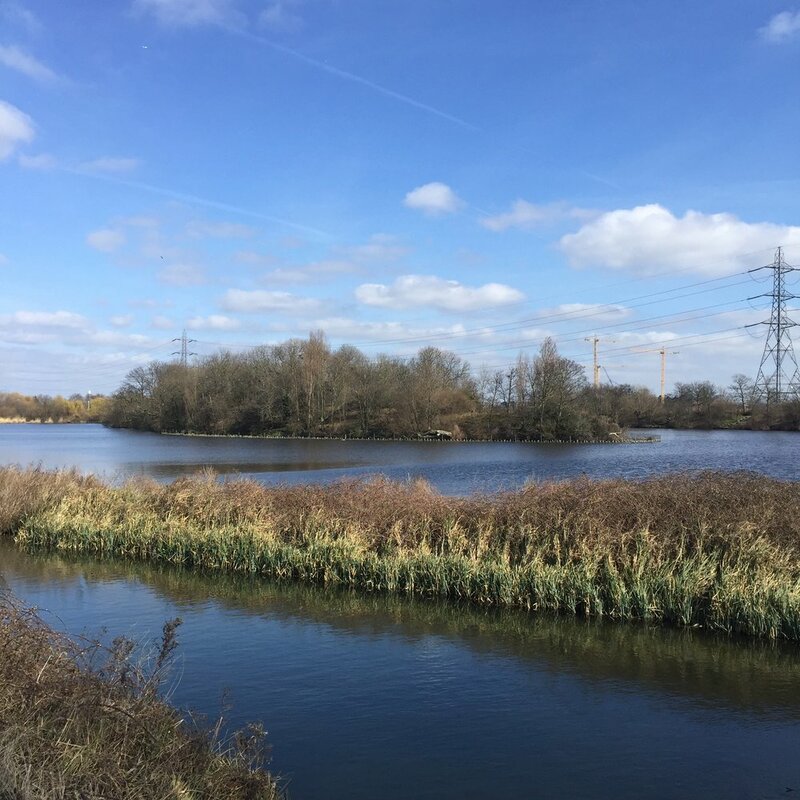 Newly opened by the London Wildlife Trust, Walthamstow Wetlands offers you a truly unique landscape to get some insta-worthy shots in London. Vast expanses of water with plenty of birds making it their home makes it a very peaceful spot too for a peaceful walk. There’s also a cute cafe with outdoor seating to soak up some sun (if it’s around). Cemetery’s aren’t just for halloween! Nunhead cemetery has an amazing view too, as well as an old chapel in ruins, which is also beautiful. It’s a great walk to take you back in time and make you feel like you're a million miles from the city. Enjoy a woodland walk in South-East London while stocking up on some beauiufl scenes for your socials. This is a curve ball, but whose instagram doesn’t need some massive stone dinosaurs? This is a jaunt for the original, or those who want a bit more to view than a nice park. We’d highly recommend bringing someone along who isn’t expecting it. There's lots of lovely coffee shops for a rest in Crystal Palace as well should you need one. It’s a classic, so we couldn’t not have this gem on the list. With beautiful green houses and temperate house redone, a tree top walk amongst much more, it really is a wealth of content and you’ll be so glad you’ve made the trip. Don’t rush your time in here. Who knew Croyden was so green? If you head to Heathfield you’ll be presented with wisteria arches (if you go during the right time of year), an ecology park and the perfect place to bring a picnic. It’s then a short walk to Addington Hills, which provide a fantastic view over London. If you haven't explored the area yet we thoroughly recommend going on a walk in Cryoydon.